Warehouses and docks are often the busiest parts of any company's operations. Trucks, forklifts and other vehicles are constantly coming and going as workers scurry to accomplish their tasks as quickly and efficiently as possible. 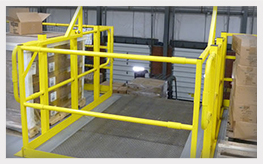 Your warehouse and dock areas can be a hive of activity. 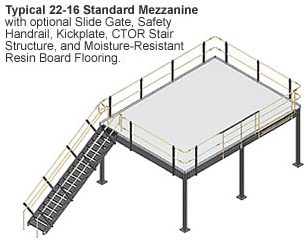 So providing your team members with the finest warehouse and dock equipment properly is critical to the efficiency and safety of any operation. Building a new facility or updating your current dock or warehouse area? Let the highly-trained, experienced Storage & Handling consultants at Bahrns ToyotaLift help you select the right warehouse and dock equipment for your next building project. At Bahrns ToyotaLift, we're standing by ready to meet all of your warehouse and dock equipment needs so your team members can work harder, longer, more safely in what can be one of the busiest and most congested areas of your entire operation. Not only do we have the best equipment and the most popular brands, but we also offer the most affordable prices! Call us today at 1-800-432-2909 and find out for yourself why Bahrns ToyotaLift is one of the leading providers of warehouse and dock equipment. At Bahrns ToyotaLift, we're here to help you!